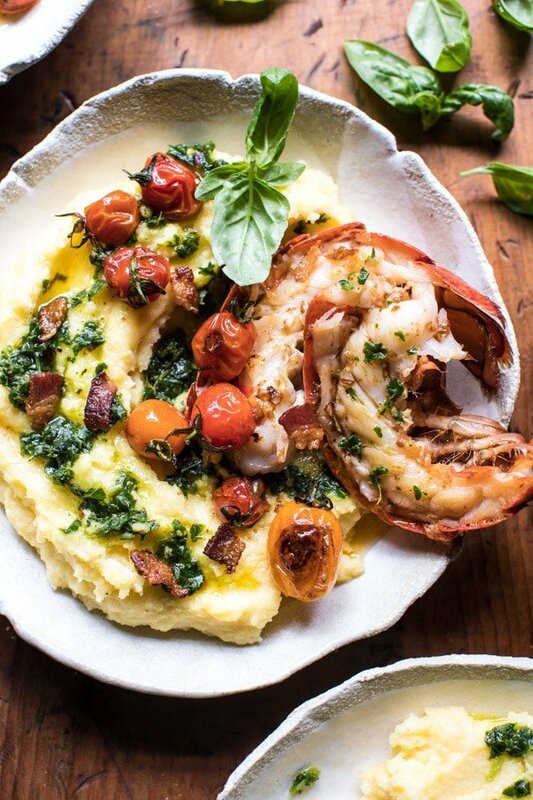 Brown Butter Lobster with Kale Pesto Polenta and Cherry Tomato Bacon Pan Sauce. 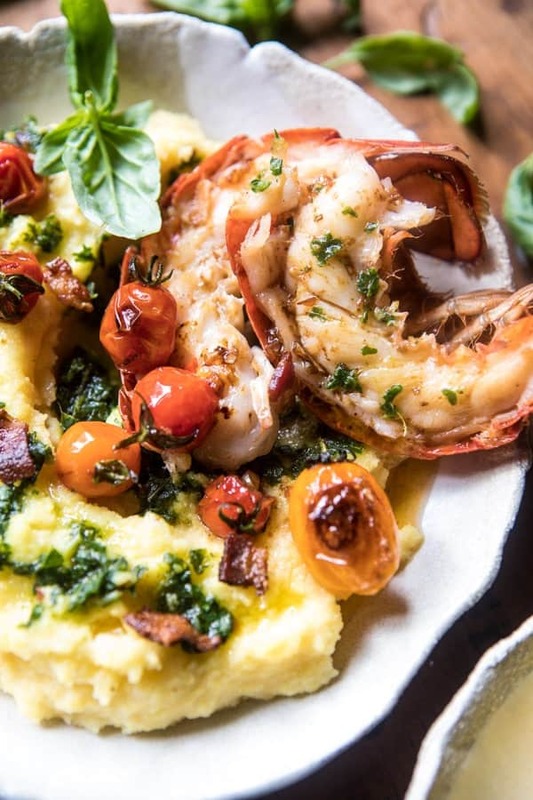 Brown Butter Lobster with Kale Pesto Polenta and Cherry Tomato Bacon Pan Sauce. Wow. Now if that isn’t a proper title than I don’t know what is. 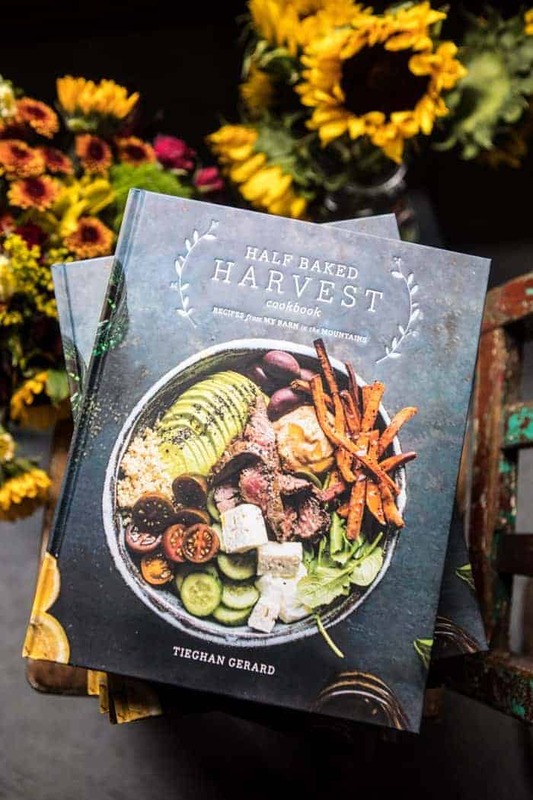 I’m showing my old school Half Baked Harvest colors today and bringing you guys a recipe with the longest title ever (any long time readers know just what I’m talking about), which naturally includes the most delicious flavor profile. 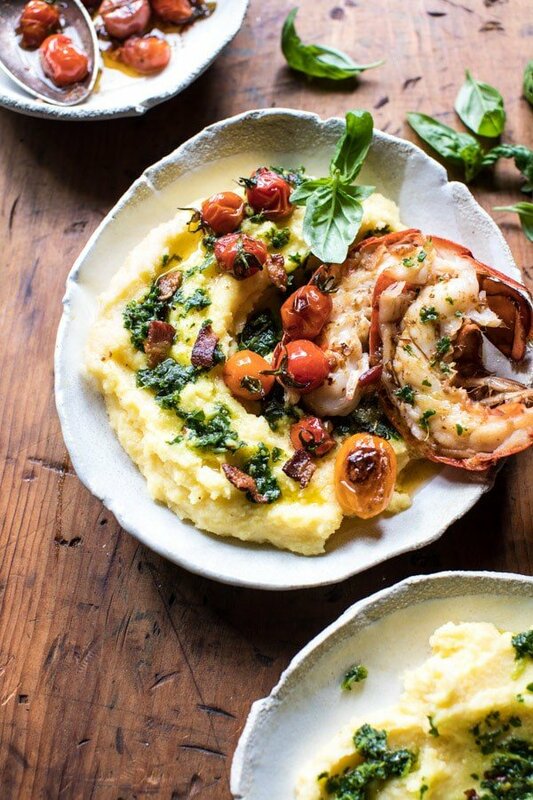 Again brown butter lobster with polenta and tomatoes. I really don’t even need to say anything more…but of course I will, because it’s me, and you all know how I love to ramble, especially on Mondays. Speaking of which, happy Monday! Are you guys ready for the week ahead?! After a busy weekend, I am ready to dive back into work today and into some fun projects, recipes, and then of course that inbox of mine that I semi fear at times. Kai is coming home from Mexico on Thursday for a week to film new recipes videos, so if you guys have any requests, please leave them in the comments. 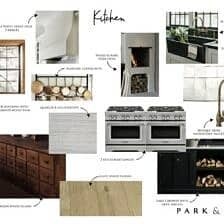 We’re planning on working on late summer and early fall recipes, so let me know what you’d like to see! This means I am trying my best to work ahead so that I can focus solely on video content while he is here. Because when our week is up, it’s straight back to Mexico for that kid until September. And yes, I do still think it’s crazy he is living in Mexico (he’s in Puerto Vallarta for three months for those who are wondering), but he’s 21 and living his life to the best of his abilities. Anyways, in a quick little ramble, that’s what’s happening over here this week. I’ll leave out all the boring not so fun details…cause it’s Monday, and we need all the positive energy we can get today! 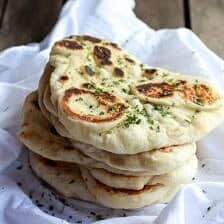 OK, let’s talk recipes! More specifically, this lobster recipe. 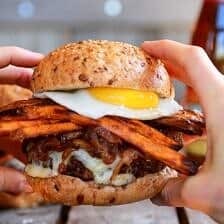 I mean, honestly everything that’s amazing about this recipe is listed in the title because it’s all so good that I just couldn’t bear to leave anything out. It’s everything together. It’s truly just a perfect summertime meal. I don’t even know where to start. I have so much to say….ahh, yikes. Let’s go with the lobster. Oh man, is there anything better than lobster with butter? Um, YES, lobster with browned butter. You guys know how much I love this combo from previous summers. 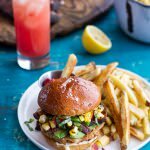 See this Brown Butter Lobster, Bacon + Crispy Kale and Fontina Pasta, this Brown Butter Lobster and Spinach Pizza, and these Avocado Lobster Burgers w/Browned Butter Lemon Aioli + Basil Corn Salsa. 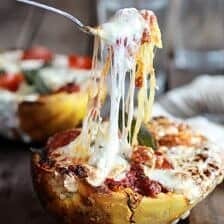 Please excuse the photos that go along with these posts, they are older recipes and I didn’t know what I was doing back then…but I promise, the recipes are still amazing. You see, lots of browned butter and lobster recipes, but the combo just never gets old, it’s too good! So that’s what I did here with today’s lobster, but while there is browned butter involved, this recipe it totally different from any of the previous recipes. 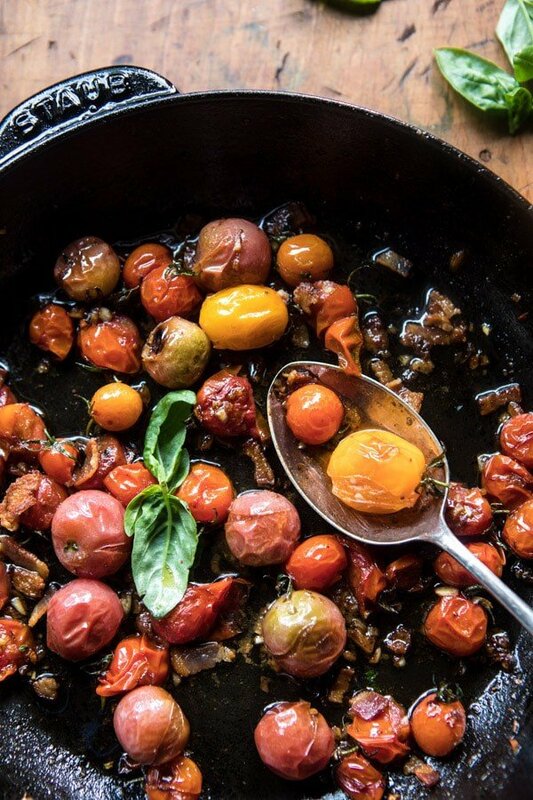 That’s thanks to those sweet cherry tomatoes in the browned butter sauce. I am mildly obsessed with cherry tomatoes this summer. I love heating them in a hot skillet and allowing them to burst and create a sauce, it’s fantastic. 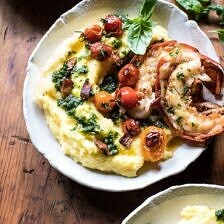 I also added some bacon to the sauce for a savory salty flavor, which I find balances really nicely with the sweet tomatoes and lobster. If you’re not a bacon fan however, you can easily leave the bacon out. But you can’t do lobster without a good side. Or at least that’s my opinion. So in comes the creamy, cheesy polenta, topped with my most favorite kale pesto (I’ve literally been using this in recipes every week lately). If you like creamy, cheesy things this is totally for you. I made things super easy and used an instant polenta, tossed in some truffle gouda cheese (this is amazing and I highly recommend it, I got mine from Whole Foods) and then topped it with the kale pesto. 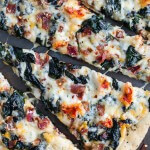 Not only is this great for flavor, but it also adds a really nice pop of color…and of course some greens…because you know, it is Monday, and it might be nice if we ate some kale. 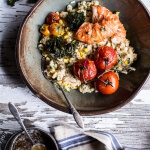 <–because kale makes this meal 100% healthified. I just love the way my Monday brain works. Anyway, can’t you see it…this is the perfect summertime meal! And I am fully aware this is not salad. I know that I should maybe be showing you some type of salad on a Monday, and I’m sure that will happen, but I prefer that Mondays be super fun, and this recipe is just that. You can make it tonight and it will be ready in under an hour, or save it for a special Friday or Saturday night and pair it with a fun cocktail or glass of wine. Either way, it’s going to be perfect, and my fingers are crossed that you guys will love it as much as I do. OKok, now ending the longest Monday post ever with a big goodbye! 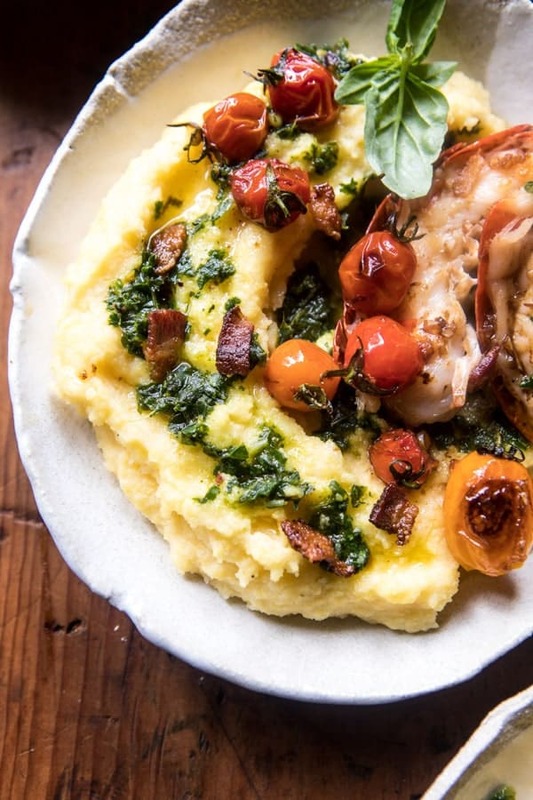 Brown Butter Lobster with Kale Pesto Polenta and Cherry Tomato Bacon Pan Sauce from Half Baked Harvest on Vimeo. 1. To make the kale pesto. 2. Heat a large skillet over medium-high heat. 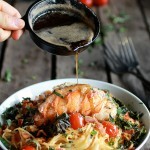 Rub each lobster tail with olive oil and then place cut side down in the skillet. Cook for 3-5 minutes or until lightly golden. Flip and continue cooking until the shells turn bright red, about 5 minutes. Remove the tails from the skillet. 3. To the skillet, add the bacon and cook until crisp. Remove the bacon from the skillet and drain onto paper towels. Strain off all but 1 tablespoon of bacon grease from the skillet and return the skillet to medium-high heat. Add the tomatoes, cook until they begin to pop, about 4-5 minutes. Add the butter and allow it to brown, about 3-5 minutes more. Once the butter foams and then turns light golden, remove it from the heat and stir in the garlic, crushed red pepper flakes, and a pinch each of salt and pepper. Add the basil. 4. Meanwhile, make the polenta. In a medium saucepan bring 2 cups of water and the milk to a boil over medium heat. Slowly whisk in the polenta, stirring, until the polenta is soft and thick, about 5 minutes. Stir in the butter and cheese until melted. Season with salt and pepper. Keep warm. 5. 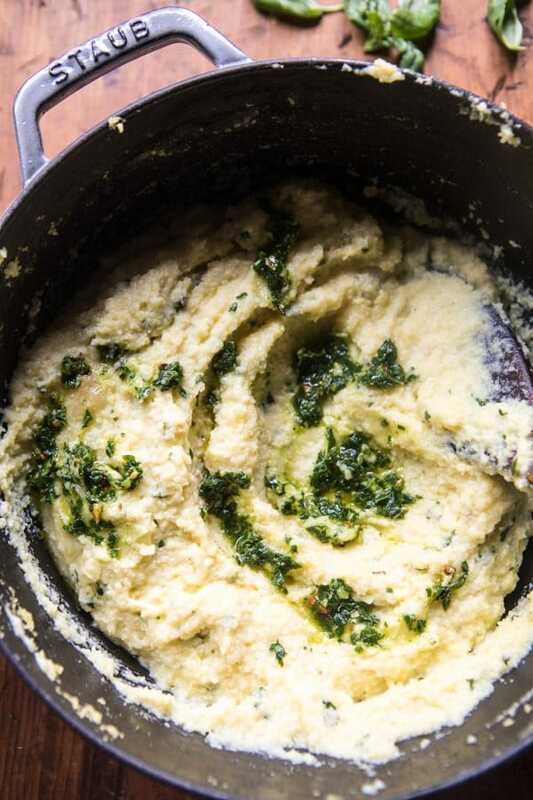 Divide the polenta among bowls and drizzle with kale pesto. Add the lobster tails and then spoon the tomatoes and butter in the pan over the lobster. Sprinkle the bacon over top and garnish with fresh basil. Enjoy! All I can think is YUM. ..salad has nothing on this dish. Sorry but I don’t see the recipe for the kale pesto. click on the word Kale pesto in the ingredients list and it will take you to the recipe. Hi Bob! 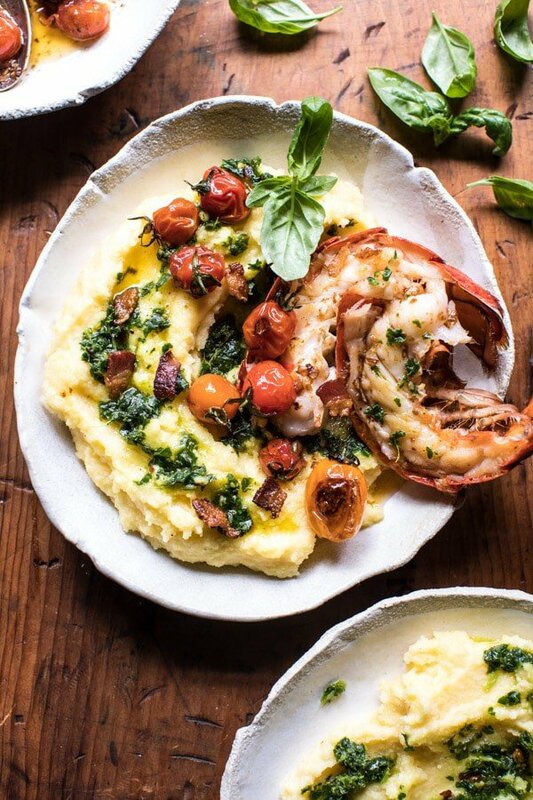 The kale pesto is the last ingredient for the lobster. It is highlighted in light blue. Just click that link and it will take you right to the recipe. Let me know if you have any questions. Hope you love this! Ooo I haven’t done any white chocolate recipes on vide that could be fun! Thanks so much Liz! It sounds good, but …kale pesto? I know, it’s Monday! It’s really good!! Hope you can try it Deb! All of your dished draw me right in! But this!! Over the top! This is my kind of comfort food! So happy you like it!! Thanks Billie! AH! One of my favorites!! This could be done!! We will see, thanks Pika! There are so many delicious things happening in this meal! I think this would definitely bring the “wow” factor to a summer dinner party-like situation! Woo thanks a ton James! I’m totally drooling over this dish Tieghan! 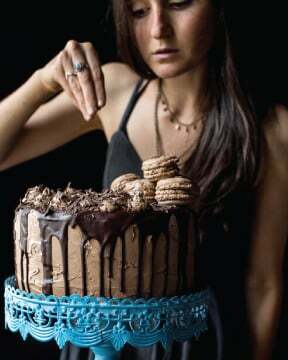 I love each and every ingredient! 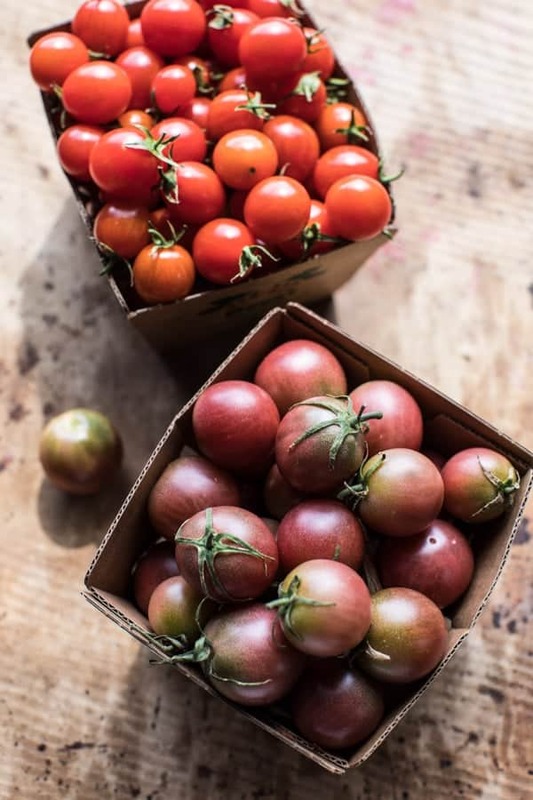 The tomatoes, the bacon and that creamy polenta! Perfect with that lobstah! AH YES, you are the best Mary Ann!! Thanks so much! That is a meal I want a double serving of! So happy you like it thanks Naomi! Yeah so not cool seeing this late at night when I’m starving! Good Lord, this is sinful!!! Haha I like long, descriptive titles. I have to say that I’m impressed with your brother… that’s how to live life! Ahh Mexico. It’s like 7:30 am here and this is making me hungry. Ah so nice to hear you like them, always curious! I wish I could up and go like he can sometimes, pretty cool! You’re actually a genius. LOVING all these flavors! I wish long titles were a must, cause I so agree, I love them! More detail, more lure, more AMAZINGNESS! Like this dish, you totally need all those components for the title. and I totally need to hitch a ride to your place for a plate ASAP! YUM! Love everything! And now I know what we will be having for dinner this weekend. You had my hubby at bacon, Tieghan! SO happy you like it Margaret!! Thank you!! I made this tonight. Holy cow. I’m so full because I COULDNT stop licking up the polenta. My first time making lobster and polenta… I have no idea what took me so long! YES!! I was the same way, its so so good! 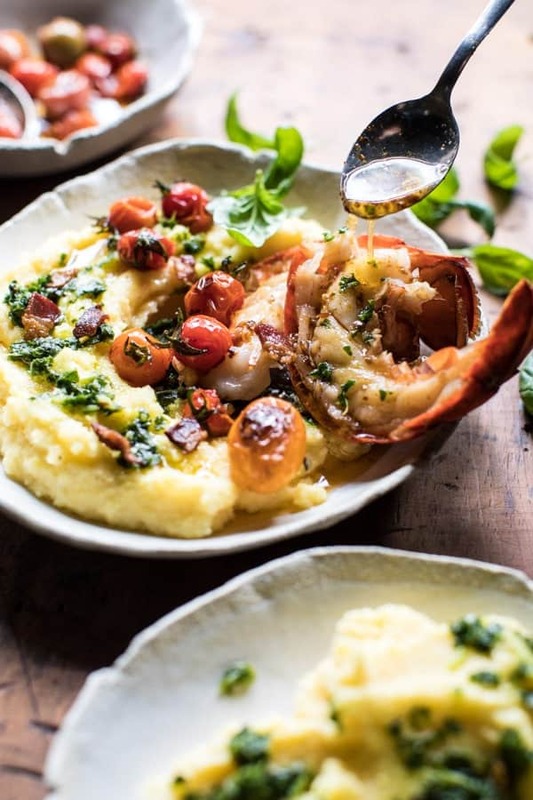 You had me at brown butter lobster – this is one incredible meal! Yess!! I couldn’t help myself!! Thanks Laura! Looks delicious. What can i use instead of the lobster? Thank you! Chicken or steak would both work well. Hope that helps, but let me know if you have other questions. Enjoy! I’ve never even though of a dish like this! Can’t wait to try it.